FFA - CAIR meeting with Florida transit authority HART seeking approval of their advertisements redefining Jihad has moved to May 6, 2013. This campaign appears to be propaganda intended to neutralize the meaning of the Islamic word Jihad in the minds of the American public. CAIR pushes for transit authority to accept advertisements redefining Jihad. The action email for this campaign was deactivated after HART declined to allow CAIR to use Jihad in their campaign. CAIR Florida requested that HART move the meeting date for consideration of their #MyJihad advertising campaign from April 1, 2013 to May 6, 2013. CAIR originally planned their meeting for April 1, 2013. It was no coincidence that CAIR’s meeting with the Florida transit authority called HART was planned for the first business day immediately following Good Friday, Passover and Easter. It has become standard operating procedure for such groups to schedule events during times when their opponents are involved in important spiritual matters. It appears CAIR requested the new meeting date of May 6, 2013 after learning that the HART board members had received thousands of emails opposing their rewrite of the meaning of Jihad. 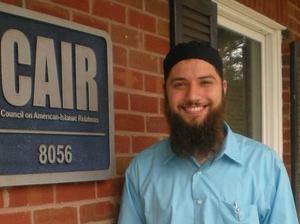 HART rejected the advertisements because the transit authority prohibits “Advertisements that primarily promote a religious faith or religious organizations.” Hassan Shibly, Executive Director of CAIR Florida has appealed this decision to the HART board of directors. CAIR’s proposed #MyJihad campaign will be considered at a HART public hearing on Monday, April 1, 2013. Shibly’s explanation of the campaign provides additional grounds for denial. Mr. Shibly asserts that the public understanding of Jihad as a “holy war” is mistaken and that the proper meaning is ‘struggle.’ It does not matter which definition is at issue here. Jihad is a word that is used almost exclusively by Muslims regardless of which definition is intended. No other religion uses the term Jihad. Additionally, the first and most common definition for Jihad given by the Merriam Webster dictionary is: JIHAD 1: a holy war waged on behalf of Islam as a religious duty; also : a personal struggle in devotion to Islam especially involving spiritual discipline. Merriam Webster states: In Islam, the central doctrine that calls on believers to combat the enemies of their religion. According to the Qur'an and the Hadith, jihad is a duty that may be fulfilled in four ways: by the heart, the tongue, the hand, or the sword. The first way (known in Sufism as the “greater jihad”) involves struggling against evil desires. The ways of the tongue and hand call for verbal defense and right actions. The jihad of the sword involves waging war against enemies of Islam. Believers contend that those who die in combat become martyrs and are guaranteed a place in paradise. In the 20th and 21st centuries the concept of jihad has sometimes been used as an ideological weapon in the effort to combat Western influences and secular governments and to establish an ideal Islamic society. This campaign appears to be propaganda that is intended to neutralize the meaning of the Islamic word Jihad in the minds of the American public. Florida Family Association has prepared an email for you to send that urges the HART board of directors to stand by their decision to prohibit CAIR’s #MyJihad campaign.